Our complimentary newsletters and style tip bulletins provide cost-effective strategies for managing your wardrobe and mastering professional and overall personal style and image. Please be assured that we will never share your e-mail information with anyone. To read past newsletters, please check out our newsletter archives. To read why people from all walks of life love our advice, please click here. In honor of our 25th anniversary earlier this year, we launched the Dressing Well Charitable Foundation, a 501(c)(3) charitable organization that provides monetary support for other charities, especially those that utilize style and fashion to improve the lives of others. 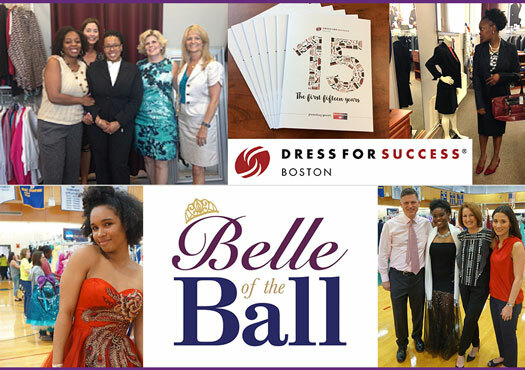 Early support allowed us to donate to the 15th anniversary of Dress for Success Boston and the 13th annual Belle of the Ball this past spring. This fall we are providing funding for three more great organizations: Coats for Kids, the National Multiple Sclerosis Society and the Needham Women's Club. We are also sponsoring a contest to keep our fundraising efforts going strong. By donating a minimum of $25 to our Foundation, you will have a chance to win one of three "stylish" prizes, including a makeover with one of our talented stylists. Scroll down for more details. For us fundraising and fashion have long gone hand in hand. We hope the profiles below move you to become involved in one (or all!) of these awesome organizations. This Friday, we are pleased to support "Fashion Plates: A Fashion Show and Luncheon" to benefit the National Multiple Sclerosis Society, Greater New England Chapter. 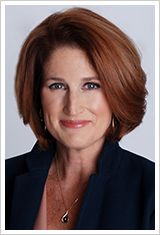 Our support pays tribute to the spirit of Karen Van Houten. 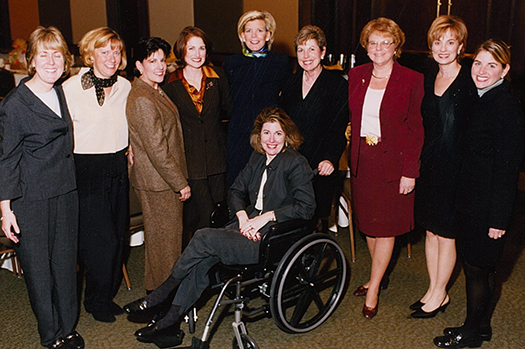 From 2001-2003, Mary Lou Andre and Karen, along with Eleanor Uddo, co-chaired a similar fashion event for the MS Society, raising over $200,000 during this three year commitment. We salute Karen for inspiring us then and now. To learn more about Fashion Plates (and to meet this year's amazing models), please visit the Fashion Plates Facebook page. We are thrilled to once again be supporting the good work of the MS Society, this time through the mission of our new Foundation. Dressing Well Flashback: An Evening to Benefit the Multiple Sclerosis Society (2001- 2003). Original Committee Members (pictured with Karen Van Houten from left to right); Jane McGrath, Mary Beth McIntyre, Eleanor Uddo, Mary Lou Andre, Allyson Kennedy Gay, Marge Van Houten, Arlyn White, Suzanne Bates and Adrienne Marani. Absent from photo: Janis Daly, Sally Driscoll and Jodi Nelson, who were preparing to model in the final fashion show that concluded the committee's three-year commitment to help end MS. In addition to coats from the closets of our clients, friends and families, we are pleased to also offer monetary support to the 23rd annual Coats for Kids, running now through January 7. The mission for Coats for Kids is simple: "Anyone in need of a coat will have one." Since the program's inception in 1995, Anton's has collected, cleaned and distributed nearly 800,000 coats. Please consider donating your gently used coats to any Anton's Cleaners, Enterprise Bank, or Jordan's Furniture locations. For more information about this terrific program, visit the Coats for Kids webpage. The philanthropic footprint of the Needham Women's Club is impressive. It encompasses nearly two dozen local schools, organizations and charities serving people of many needs in our our home town of Needham, MA. 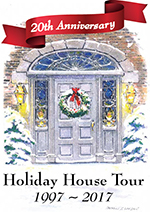 We are pleased to continue our support of the organization's annual Holiday House Tour, their largest fundraiser. We also applaud this amazing group of women for all that they do for our special community. To learn more about the NWC and to purchase tickets to this year's tour, visit their website. Editor's Note: Indicate which prize you are interested in winning in the comments section of the donation form. You only need a computer to qualify for the virtual style appointment! Don't forget to leave your address too so we can mail gift certificates and tickets. The Dressing Well Charitable Foundation is a 501(c)(3) charitable organization. All donations are tax deductible. 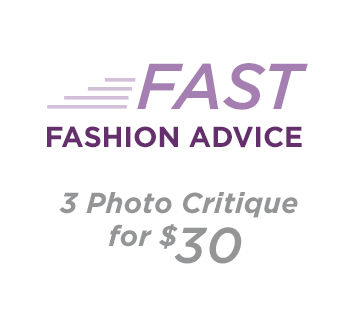 Visit the Foundation page on Dressingwell.com for more information. © 2017 Organization by Design, Inc.
Spring has certainly sprung here at Dressing Well. We have some exciting announcements, photos of events we have participated in, and a new blog for you to read as you ponder what to keep and what to donate from your closet this spring. First, we are pleased to announce the Dressing Well Charitable Foundation – a 501(c)(3) charitable organization that will provide monetary support to other charities, especially those that offer clothing, career support and social services to women, men and children while encouraging self-sufficiency and fostering self-esteem and confidence. While we will continue to support our non-profit friends by donating our time and talent (and, of course, clothes and accessories! ), we are thrilled to help increase the financial support they also need to thrive. Responsibly handling clothing donations (and putting them in the right hands at the right time) costs money. The primary goal of our Foundation is to add an extra layer of support for organizations that go above and beyond to help others experience the true power of dressing well. Early financial support for our new Foundation has allowed us to sponsor the 15th Anniversary of Dress for Success Boston in March and increase our support for Anton's Cleaners 13th Annual Belle of the Ball, held earlier this month at Simmons College in Boston. We are proud to have been involved with both of these amazing organizations since their inception. Visit the Fashionable Giving section of our website to read more about the non-profits we support. Please consider joining our efforts by donating to the Dressing Well Charitable Foundation. The first 25 people to donate $25 or more will be sent a $25 gift card from our friends at The Container Store. (Please be sure to include your address during checkout so we can mail cards promptly!) Your money will be put to use immediately and you will receive a tax donation letter upon donating. Thank you for your generosity. Finally, to give some deeper context to our fashionable giving philosophy, in this week's blog I share a personal story about how I first learned the importance of donating clothes with respect. This experience early in my career greatly shaped my own mindset about how to donate clothing I no longer need and, ultimately, led to the creation of our Foundation. As you go through your own closets this spring, we hope these insights guide you as well so that others truly benefit from your generosity. Visit Dressingwell.com for more information about our private client services and corporate seminars.